A guide for our customers with disability or mobility problems. 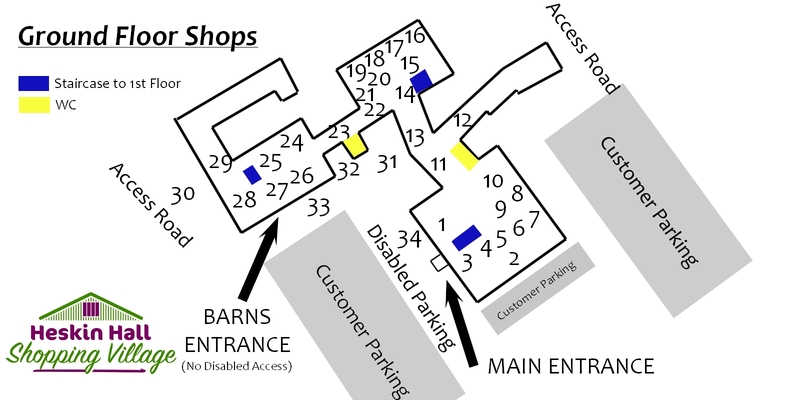 On arrival at Heskin Hall Shopping Village you will find disabled parking bays at the front of the main building. We have created wide aisles and ramps throughout all departments to assist movement though the centre. 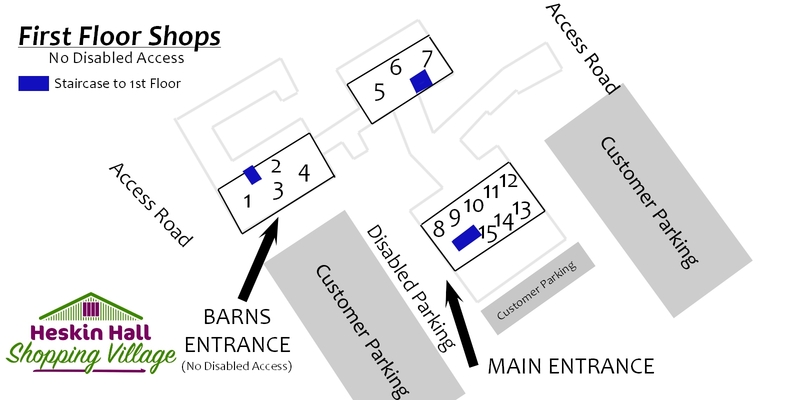 Toilet facilities in the centre area near the Fruit & Veg shop and a further disabled toilet in the walkway between the barns. Two out of the three entrances into the centre have ramps so customers in wheelchairs and with pushchairs can visit all areas with ease on the ground floor. Our car park is strictly for the use of Heskin Hall Shopping Village customers ONLY. Sorry, no walkers- we just haven’t got the space. Thank you. Please note that Guide Dogs and Assistance Dogs are very welcome within the centre, although generally dogs are not allowed. Don’t struggle with heavy items. We will always find someone to help lift these and, after purchase, out to your car. Please just ask. There is space throughout the centre on the ground floor for both wheelchairs and mobility scooters. First Floor Access is via staircases only. We would love to have a lift but we have been advised by the building inspector and the fire brigade not to install any due the health and safety issues as the buildings are mainly of wooden structure. The shops highlighted as first floor are happy to bring items down for you to view should you wish them to. If you need any assistance within the centre please do not hesitate to ask any of the shops or the tea room staff. Please click on the images below for more information about the location of our shops. Our ground floors shops are fully acccessible via the main entrace. Our first floor shops are split in 3 seperate areas all accessible via indiviudal staricases as highlighted. Please see our info section entitled ‘First Floor Access’ on the left for more detail.